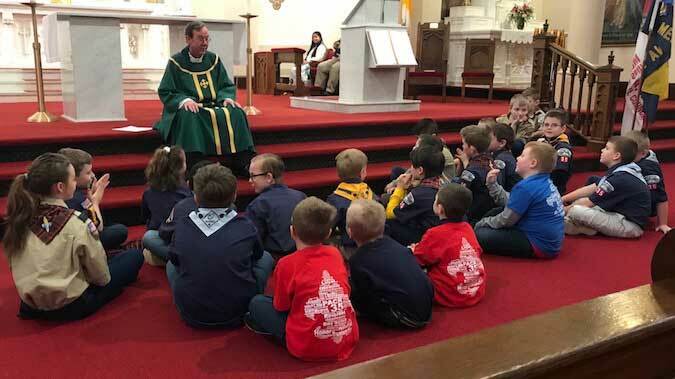 MEDINA – Scouts from Troop & Pack 35 celebrated Scout Sunday at Holy Trinity Church this morning at the 11 a.m. Mass. 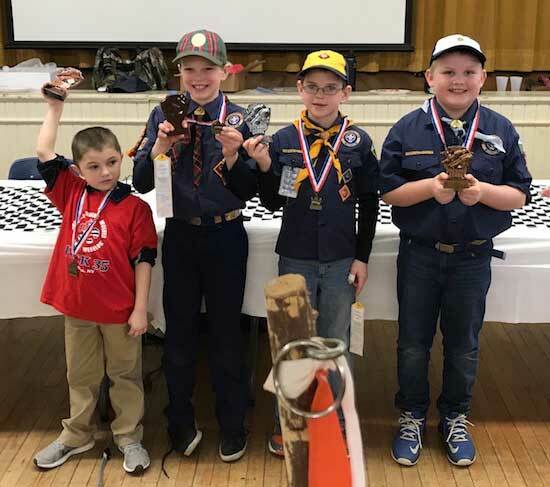 Scout Sunday’s purpose is to recognize the contributions of young people and adults to Scouting. The Scouts are sitting listening to Father Dan Fawls give a homily. 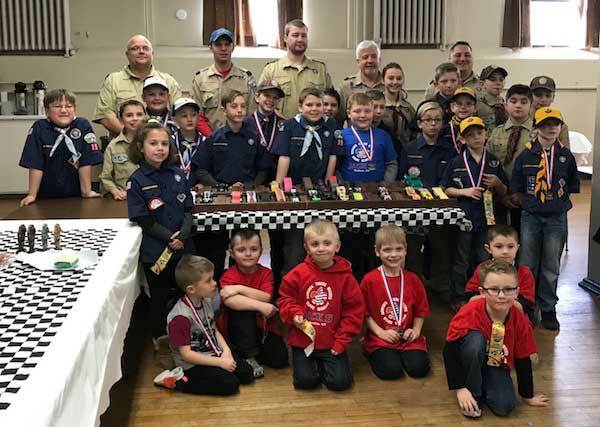 After Mass the Scouts from Pack 35 held their annual pinewood derby at Holy Trinity’s Parish Hall. Each den held race heats to decide fastest car in each den, then the winners went on to race for the fastest car in the Pack. Sam Gray took 4th, Joe Reese placed 3rd, Anthony Reese placed 2nd, and Stephen Gobeli took 1st place for the entire Pack.